An Oakland man who police say killed Oakland muralist Antonio Ramos has been charged with murder and several counts of robbery. 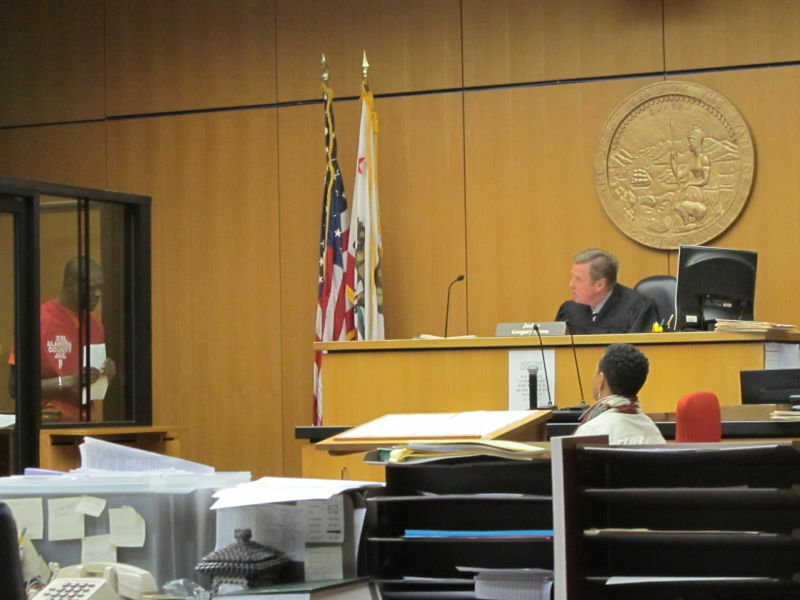 Marquise Holloway, 20, was arraigned in Alameda County Superior Court in Oakland on Tuesday afternoon. He’s charged with Ramos’ murder, three counts of second-degree robbery and two counts of attempted second-degree robbery. The murder charge carries a special circumstance -- homicide committed during an armed robbery -- and could lead to a sentence of life without the possibility of parole. While Judge Gregory Syren was reading the charges, Holloway began screaming obscenities and banging on the walls and was removed from the courtroom. Syren continued the hearing, ordered Holloway to be held without bail and set a date for him to return to court with a public defender next Monday. Moments later, a group of courtroom observers who appeared to know Holloway smashed a glass case in a hallway as they exited the courthouse. The shooting on the morning of Sept. 29 rocked Oakland’s arts community. Ramos was working on an anti-violence mural on the Interstate 580 underpass, on West Street between 35th and 36th streets, when he was shot. Oakland police homicide Lt. Roland Holmgren said Holloway had attempted another robbery earlier the morning of Sept. 29, when he encountered Ramos. Holmgren says the release of a video and still photo of Holloway last month brought in numerous tips that helped lead to the arrest. “When we released the video and the photo to the media and it was provided to the community, we had almost instantaneous calling into our tip lines,” said Holmgren, who added that information from the public helped lead them to Holloway's mother house in Stockton., where he was arrested last week. ”That’s the type of partnership that we need. When it’s on, it’s on, and we can be effective together,” Holmgren added. According to the San Francisco Chronicle, a handgun was recovered at the time of Holloway's arrest, and ballistics tests confirmed it was the weapon used in the shooting of Ramos.